Posted by M Bharath Bhushan in Andhra, Economy, Fazal Ali Commission, Hyderabad, Telangana, Telugu (తెలుగు). దేశంలో జరిగిన ఏ రాష్ట్రవిభజనను చూసినా, రాష్ట్రాల మధ్య పంపకాల గురించిన ఆందోళనలు అనవసరమని, ముందే ఏర్పడిన, సంప్రదాయాలు, విధివిధానాలున్నాయని, ప్రజలు అప్రమత్తంగా ఉంటే ఎవరికీ అన్యాయం జరగదనీ అర్థమవుతుంది. పంపకాల్లో న్యాయం జరుగుతుందా అన్న ప్రశ్నపై ఇప్పుడు చర్చ జరుగుతోంది కానీ, ఇంతకాలం పంచుకోవడం న్యాయంగా జరిగి ఉంటే ఈ పరిస్థితి వచ్చేది కాదన్న అవగాహన లోపిస్తోంది. పెద్దమనుషుల ఒప్పందమే అమలుజరిగి ఉంటే, నేటి పెద్ద సంక్షోభం వచ్చేది కాదు కదా? “విశాలాంధ్రలో విలీనానికి సంబంధించి అనుకూల ప్రతికూల అంశాలను నేనిక్కడ రేఖామాత్రంగా సూచించాను. నా సొంత అభిప్రాయమంటూ ఒకటి చెప్పడం భావ్యం కాదని అనుకుంటున్నాను. ఈ అంశంపై నా మనసును తెరచే ఉంచాను. నిష్పాక్షికంగా, రాగద్వేషాలకు అతీతంగా నేను పరిస్థితిని వివరించాను. బొంబాయి నుంచి పరిస్థితిని పూర్తిగా సమీక్షించిన తరువాత మరింత వివరంగా రాస్తాను. …” 1955లో హైదరాబాద్ రాష్ట్ర ముఖ్యమంత్రి బూర్గుల రామకృష్ణరావు కాంగ్రెస్ అధ్యక్షులు యు.ఎన్. ధేబర్‌కు రాసిన లేఖలో రాసిన ముగింపు వాక్యాలు అవి. విశాలాంధ్రలో కలవాలనే అభిప్రాయం కూడా తెలంగాణలో బలంగానే ఉన్నదని, అయితే మెజారిటీ మాత్రం ప్రత్యేక రాష్ట్రంగా ఉండడానికే మొగ్గుచూపుతారని కూడా బూర్గుల ఆ లేఖలో సూచించారు. Posted by M Bharath Bhushan in ecology, Fazal Ali Commission, Godavari, Polavaram, submergence, Telangana. States sharing water has always been a prickly issue. How will Telangana fare? 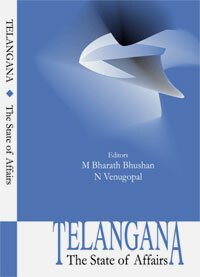 Carving Telangana out of the riverine State of Andhra Pradesh and sharing water resources will be a tricky affair. It does not help that Andhra Pradesh is a lower riparian State, even as it has three major rivers. A Group of Ministers will be constituted to chart a way forward on sharing water, power, mineral resources and infrastructure, among other things. Anything to do with water raises passions in Telangana, drought-prone Rayalaseema and Coastal Andhra. Even in the unified State, where more than 70 per cent of the population is dependent on agriculture, the issue of water availability has been central to arriving at an understanding on resource sharing between the three regions. Andhra Pradesh is blessed with the three major river systems — Godavari, the Krishna and the Pennar — and about 40 medium and minor rivers. Their deltas play a big role in the State’s economy and contribute to the prosperity of various regions and districts. In the 1950s, the Fazal Ali Commission — also known as the States Reorganisation Commission — had provided early insights into the importance of the Krishna and Godavari systems. Since then, the issue of water-sharing began to take concrete shape with the formation of the Krishna and Godavari water tribunals and their awards. 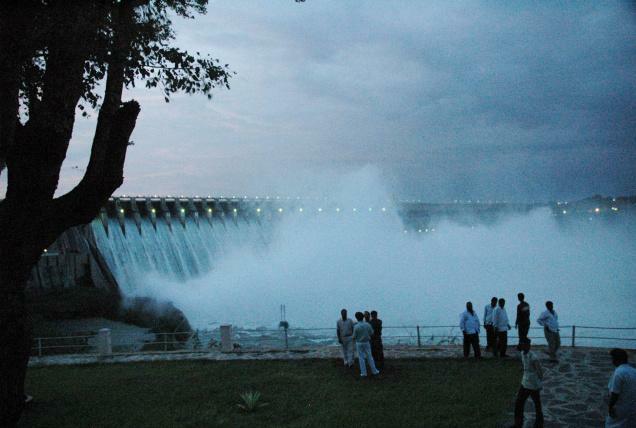 The Krishna, the third biggest river in peninsular India, irrigates Maharashtra, Karnataka and Andhra Pradesh. According to the tribunal award, Maharashtra gets 560 thousand million cubic feet (TMC ) of water, Karnataka 700 TMC and Andhra Pradesh 811 TMC. Of the 811 TMC that the lower riparian State of Andhra Pradesh gets from the Krishna, it has managed to complete projects that help harness the potential of about 759 TMC; the rest is sought to be tapped with new projects. Posted by Telangana Utsav in Andhrapreneurship, Congress, Culture, Economy, elections, Fazal Ali Commission, Identity, Mulki, politics, Reddy, regionalism, Telangana, TRS, YSR. THE road to Telangana has been long and winding. It was charted by the then Union home minister Sardar Patel when he took ‘Police Action’ in September 1948 to integrate the princely state of Hyderabad with the rest of free India. it is in the fitness of things that the present Home Minister Chidambaram is overseeing the last leg of this journey. The people of Telangana feel reassured and hopeful. After 53 years of Andhra rule they feel let down by successive regimes in New Delhi. These years have been years of discrimination, neglect and economic exploitation. The composite state of Hyderabad was trifurcated in the year 1956. While the Marathi-speaking districts of Aurangabad, Nanded, Parbhani, Osmanabad and Beed merged with Maharashtra, the Kannada-speaking districts of Bidar, Gulbarga and Raichur joined Karnataka. The remaining nine Telugu-speaking districts, historically known as Telangana, were forced to accept the merger of 11 districts of Andhra state and metamorphose into what has been labelled as Andhra Pradesh. This metamorphosis has been truly Kafkaesque. These nightmarish years have seen rural Telangana slide into abysmal poverty. The ‘planned development’ turned the rural masses of the region into Singareni coal mine diggers, construction workers in Hyderabad, unskilled migratory labour in the Middle East and factory workers in the cotton mills of Surat, Mumbai, Bhiwandi and Sholapur. Successive chief ministers from Andhra region, beginning with Neelam Sanjeeva Reddy and till recently Y.S. Rajasekhara Reddy, paid no heed to the crying needs of rural Telangana. Though lying between the two mighty rivers of Godavari and Krishna, the vast rural areas of Telangana remain dry, its farmers always looking to the skies for the rain god to shower his elusive blessings. The Telangana farmer is “born in debt, lives in debt and bequeaths debt.” If Telangana, located in the heart of India, bleeds, can the rest of the country remain unaffected? It was in the year 1957 that it all began. Posted by Telangana Utsav in Fazal Ali Commission, KCR, Mulki, politics, Telangana, TRS. The Telangana Rashtra Samiti’s submission to the Srikrishna Committee to seek restoration of status quo ante as it existed on October 31, 1956, has given scope for criticism by its detractors, notably Congress MP Lagadapati Rajagopal, about its commitment to separate Telangana. Its stand was interpreted as an exposure of its ‘hollow politics’ since the party wanted re-drawing of boundaries of Telangana in a manner as to include the Marathwada and Hyderabad-Karnataka regions which were parts of the erstwhile Hyderabad State.